Willow Springs, IL — It’s become apparent that there is a systemic problem in policing, yet many Americans continue to be willfully ignorant of the dark reality transpiring outside of their front doors. Often people will claim “it’s just a few bad apples,” but the truth is that problem is much more deeply ingrained. The following example is evidence of the previous claim. In Willow Springs, Illinois, a three-year long internal investigation is coming to fruition and the rats are scurrying for the exits. After hundreds of pages of depositions and many hours of investigations, half of the Willow Springs department has now been fired or forced to quit. “The residents needed to know,” Mayor Alan Nowacyzyk told NBC 5 of the massive corruption from within. According to a recent press release, the investigation is still ongoing, so there could be even more cops ousted from the department in the coming months. As NBC 5 reports, Nowacyzyk said it all began with a former officer, Michael Giorgetti, in 2013. Giorgetti got in an accident driving his squad car while doing private business in Wisconsin, Nowacyzyk said. The village said Giorgetti was working for a former village contractor and had traveled with another village official to retrieve equipment they planned to store in a village-owned public works garage. “That police officer attempted to cover up certain facts, lied through an investigation, was terminated, turned around (and) sued the village for wrongful termination,” he said. All too often, police officers, even if they are entirely in the wrong, will use the power of police unions to turn around and sue their departments for their jobs back and back pay. We’ve covered cases of this on the Free Thought Project that involved cops caught on video beating handcuffed victims getting fired — only to turn around and get their jobs and lost pay back. During the investigation into Giorgetti, it was discovered that another officer falsified police documents, so he was fired too. A third officer then retired immediately after the investigation began — another tactic corrupt police officers use to avoid prosecution for their crimes while on the force. The resultant investigation has turned into a calamity as Giorgetti is now claiming this retaliation for a whistleblower case he had against Nowacyzyk. What Giorgetti is saying is entirely plausible and, indeed, likely, as cops who try to expose corruption from within are all too often fired, threatened, or worse. However, these individual cops are usually ousted by the department as a whole and rarely blow the whistle in groups. When looking into Giorgetti’s past, the story gets even more ominous. 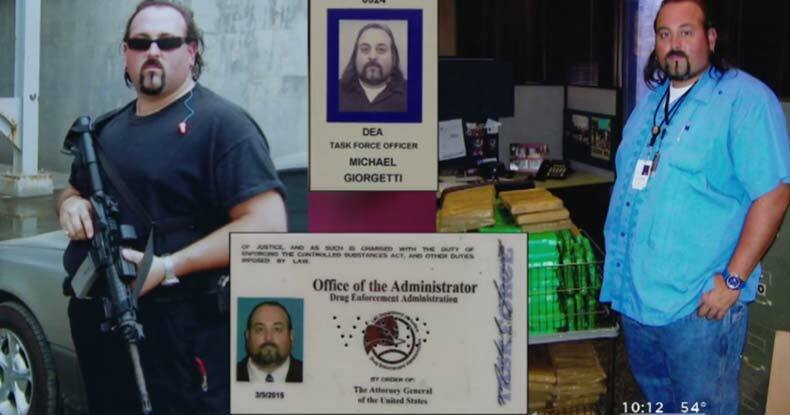 During an independent investigation last year, Giorgetti, who’s spent a decade working undercover for the U.S. Drug Enforcement Agency, on loan from Willow Springs, was involved in a massive drug war asset scandal. Willow Springs trusted the decisions made by now-former police personnel. Unfortunately, they were trusted too much. Mr. Georgetti, who a judge determined repeatedly lied under oath amid an investigation into his misuse of taxpayer resources, personally oversaw this fund and often used his home address to secure bids for purchases. An investigation determined Mr. Georgetti and other officers used village resources for personal gain and falsified reports, leading to their resignations, terminations and retirements. Some of the assets Giorgetti helped confiscate from people accused of possessing certain substances deemed illegal by the state were used to buy extravagant items for the department. A 2013 Firehawk 26-foot boat with a water cannon and a Ford F-250 towing it are just two of the purchases made with drug money seized by former Willow Springs Police Sgt. Mike Giorgetti, reported NBC 5 back in November. When a DOJ audit exposed corruption in the use of funds, the case was blown wide open. According to NBC 5, the mayor said although nearly half the force was affected, they’ve been hiring full and part-time staff that more than compensate for the officers no longer on the street—and residents need not worry about safety. Given the fact that Willow Springs is only 17 miles from downtown Chicago, it is entirely likely that everyone is corrupt considering the recent light being shed on Chicago’s finest. After the DOJ investigation came to a close last year, the corruption was so rampant that the federal government removed the department’s ability to seize people’s belongings. Because of the egregious nature of the audit’s findings and the agency’s inability to remedy those findings as part of our compliance review, the Justice Department has found the agency to be ineligible to participate in the Equitable Sharing Program. They are required to return any equitable sharing funds on hand.